For other uses, see Veep (disambiguation). Veep is an American political satire comedy television series, starring Julia Louis-Dreyfus, that premiered on HBO on April 22, 2012. The series was created by Scottish writer Armando Iannucci as an adaptation of his British sitcom The Thick of It. Veep is set in the office of Selina Meyer, a fictional vice president (and, later, president) of the United States. The series follows Meyer and her team as they attempt to make their mark and leave a legacy without getting tripped up in the day-to-day political games that define the American government. Veep has received critical acclaim and has won several major awards. It has been nominated six years in a row for the Primetime Emmy Award for Outstanding Comedy Series, winning the award for its fourth, fifth, and sixth seasons. Its second, fourth, and sixth seasons won the Writers Guild of America Award for Television: Comedy Series, and the third season won the Television Critics Association Award for Outstanding Achievement in Comedy. Louis-Dreyfus' performance as Selina Meyer has won her six consecutive Primetime Emmy Awards, three Screen Actors Guild Awards, two Critics' Choice Television Awards, a Television Critics Association Award, and five consecutive Golden Globe nominations. For his portrayal of Selina's personal aide, Tony Hale has received five consecutive Emmy nominations for Outstanding Supporting Actor in a Comedy Series, winning in 2013 and 2015. Supporting cast members have also received Emmy nominations, among them Anna Chlumsky (five nominations), Gary Cole (one nomination), Hugh Laurie (one nomination), and Matt Walsh (two nominations). The series was renewed for a seventh and final season, which premiered on March 31, 2019, and will consist of seven episodes. Julia Louis-Dreyfus portrays the series' main character, Selina Meyer. The series follows the personal life and political career of Selina Meyer (Julia Louis-Dreyfus), the Vice President and later President of the United States. Her party affiliation is unknown, though hinted in the fourth season finale to be Democratic. Formerly a United States Senator from Maryland, Meyer campaigns for her party's nomination in the 2012 presidential election and is initially the front-runner, but ultimately loses the nomination to Stuart Hughes. Meyer subsequently joins the Hughes ticket as his running mate and is elected Vice President. Her staff as Vice President, upon whom Meyer is totally reliant, includes chief of staff Amy Brookheimer (Anna Chlumsky); director of communications Mike McClintock (Matt Walsh); deputy director of communications Dan Egan (Reid Scott); body man Gary Walsh (Tony Hale); and personal secretary Sue Wilson (Sufe Bradshaw). Later additions to her team as president include White House Chief of Staff Ben Cafferty (Kevin Dunn) and political strategist Kent Davison (Gary Cole). Jonah Ryan (Timothy Simons), initially a White House liaison to the Vice President's office and later a New Hampshire congressman, also features prominently. At the outset of the series, Meyer frequently finds herself relegated and ignored by Hughes. In the second season, Meyer comes to accrue some power and influence and, by the end of the season, is actively considering challenging Hughes for their party's nomination in the 2016 election. This becomes a moot point when Hughes decides not to seek a second term and Meyer begins her presidential campaign in the third season. Hughes abruptly resigns and Meyer assumes the presidency at the end of the season; the fourth season finds her adjusting to her new role while continuing her presidential campaign, both of which are undermined by a series of scandals. The election results in a tie between Meyer and challenger Bill O'Brien (Brad Leland), leading to a vote in the House of Representatives during the fifth season to decide the next president after a recount in Nevada fails to alter the election's outcome. The House vote ends in a tie, leading to the Senate voting to elect the Vice President. The Senate vote also ends in a tie; Meyer's Vice President Andrew Doyle (Phil Reeves), who did not run for a full term, casts the tiebreaking vote for O'Brien's running mate Laura Montez (Andrea Savage) instead of Meyer's running mate Tom James (Hugh Laurie), leading to Montez becoming president. The sixth season follows Meyer out of office for the first time in the series, as she attempts to ensure her legacy by authoring a memoir, setting up a foundation and attempting to establish a presidential library. At the end of the season, Meyer decides to run for president again. The series also explores Meyer's personal life, such as her strained relationships with her daughter Catherine (Sarah Sutherland), ex-husband Andrew (David Pasquesi) and a number of significant others. The lives, careers and relationships of the other characters are also explored, frequently intersecting with the series' principal narrative, satirizing the political activities and inner workings of the contemporary U.S. government. Julia Louis-Dreyfus as Selina Meyer (née Eaton): Born Selina Catherine Eaton, a former Maryland Senator who, in the start of the series, is the titular Vice President, or "Veep", who has a strained relationship with the President. After the President declines to run for a second term, she begins campaigning for the presidency in Season 3. At the end of Season 3, she becomes President when he resigns for personal issues. Due to a complex manipulation of constitutional law, she loses the presidential race in Season 5. She is divorced with one daughter, but remains romantically entangled with her ex-husband during the first two seasons and the sixth. Louis-Dreyfus has received widespread critical acclaim for her performance, winning a record-breaking six Primetime Emmy Awards and three Screen Actors Guild Awards, and receiving five consecutive Golden Globe nominations. Anna Chlumsky as Amy Brookheimer: the Vice President's Chief of Staff. She credits herself as the Vice President's "trouble-shooter, problem-solver, issue-mediator, doubt-remover, conscience-examiner, thought-thinker and all-round everything-doer". Amy is constantly sacrificing her own reputation to save Selina's political credibility. She is known to be uptight and overly dedicated to her career, unwilling to settle down and have children, much to the dismay of her family. She has romantic history with Dan, and may still have feelings for him. She has a few different boyfriends throughout the series, including a fundraiser for Selina and a Western politician. Amy becomes Selina's campaign manager during her presidential run, but resigns as a result of the brief appointment of an equivocating, yet omnipresent, old friend of Selina's to the campaign team. She rejoins the Meyer team when a tie in the general election leads to a statewide recount in Nevada. At the end of season 6 it is revealed that after a one-night stand with Dan, she is pregnant with his child. Chlumsky previously portrayed a similar character, Liza Weld, in Iannucci's 2009 film, In the Loop. She has received five consecutive Primetime Emmy Award nominations for her performance. Tony Hale as Gary Walsh: Selina's personal aide and body man. A long-term associate and confidant of Selina, Gary is portrayed as incredibly loyal and devoted. Despite his menial job, Gary is actually a graduate of Cornell University, having majored in hotel management. In the fourth and fifth seasons, Gary is portrayed as having issues adapting to Selina's presidency, since he can no longer be as close to her as previously, due to lack of security clearance. When Selina fails to win reelection, he remains on as her personal aide. Hale describes Gary's loyalty to Selina stemming from the idea that the character "is one of those guys who never really had an identity. He attached himself to people to find who he was." Hale received two Primetime Emmy Awards for his performance on the series, with three further nominations. Reid Scott as Dan Egan: the Deputy Director of Communications in the Vice President's Office, Dan is a highly ambitious, cutthroat up-and-comer in D.C. who takes pride in his contacts and networking skills. He has dated the daughters of influential politicians to get ahead in his career. He often butts heads with Amy, whom he previously dated (and it is suggested he may still have feelings for her). He has a brief stint as Selina's campaign manager for her Presidential campaign but is fired from that position after having a nervous breakdown following several crises. He resumes his post in Communications but is fired as a scapegoat amid a data-theft scandal. After briefly working unsuccessfully as a lobbyist and as a CNN analyst, he returns to the campaign staff, as a senior campaign official. When Selina fails to win reelection, Dan goes to work at CBS. Timothy Simons as Jonah Ryan: the White House liaison to Vice President Meyer's office, he constantly clashes with most members of the Veep's office, particularly Amy. It is shown that he is disliked by everyone he encounters, even foreign politicians. In the third season, he is temporarily fired from the White House for running a blog disclosing insider information, leading him to create his own news website, Ryantology. In season four, he works again as a liaison, this time between President Meyer and Vice President Doyle. He later works for the Meyer general election campaign, until a New Hampshire congressman dies. He is then drafted to run for that seat in order to secure Meyer's vote in the electoral college. He is elected and becomes a congressman, appointing Richard as his Chief of Staff. According to Matt Walsh, Jonah Ryan was originally envisioned by the show's writers as "just a fat, short, heavy smoker", but was changed to his current characterization after Simons auditioned for the role. Matt Walsh as Mike McLintock: the Vice President's Director of Communications. Mike has served as her Communications Director since her tenure as Senator from Maryland. His career dedication is often questionable, to the extent where he pretends to have a pet dog so he can escape from work commitments. The other characters in the show often mock his lack of ambition, suggesting that he's reached the peak of his career. He is often portrayed as lacking the skills required for the job. In the third season, he marries a reporter named Wendy Keegan. In Season 4, Mike becomes the White House Press Secretary. In Season 5, Mike and Wendy attempt to adopt a baby. They ultimately adopt a Chinese toddler, and also have twins via a surrogate. Walsh has received two Primetime Emmy Award nominations for his performance. David Rasche as Speaker Jim Marwood: Marwood serves as the Speaker of the House of Representatives, who ends up in league with Tom James and attempts to deliver him the presidency by refusing to hold another House vote, though their actions inadvertently lead Laura Montez to be elected. (Seasons 2; 4–present). Rasche also appeared in In the Loop as an American official. Before creating Veep, British satirist Armando Iannucci created the BBC sitcom, The Thick of It, set in a fictional department of the British government. The Thick of It was first broadcast in 2005 and won a number of awards. Iannucci directed a spin-off film, In the Loop, which was released in 2009 and nominated for the Academy Award for Best Adapted Screenplay. A pilot for an American version of The Thick of It was produced as a candidate for the 2007–08 season on ABC. The ABC pilot, also titled The Thick of It, was developed for American audiences by writers Mitch Hurwitz and Richard Day and followed a low-level member of the United States Congress and his staff. Iannucci had a production credit on the show, but he was not otherwise involved. The pilot was produced by Sony Pictures Television and BBC Worldwide and directed by Christopher Guest. In the pilot, John Michael Higgins played Albert Alger, a newly elected Congressman, and Oliver Platt played committee chairman Malcolm Tucker. Rhea Seehorn portrayed Ollie Tadzio, a young and ambitious speech writer, and Michael McKean played Glen Glahm, "a former campaign operative who's now the Chief of Staff" for the congressman. ABC did not pick up the show for its fall 2007 schedule. Iannucci distanced himself from the pilot, stating, "It was terrible...they took the idea and chucked out all the style. It was all conventionally shot and there was no improvisation or swearing. It didn't get picked up, thank God." After The Thick of It was dropped by ABC, several networks including HBO, Showtime and NBC expressed interest in adapting the show. Iannucci re-entered talks with HBO (his initial preference) about adapting the series, with the result that a new pilot episode for a series situated in the office of the Vice President of the United States called Veep (a nickname derived from the position's initials "VP") was commissioned in late 2009. Iannucci was given much more creative control over the production, and co-wrote the pilot with British comedy writer Simon Blackwell, who also contributed to the British series The Thick of It. In April 2011, HBO announced that it had ordered Veep as a series, and later announced in January 2012 that the series would premiere on April 22, 2012. Louis-Dreyfus described Veep's intent not to have the President on-screen, or to reveal the political party of the characters. Meyer's party affiliation is somewhat implied in "Election Night" to be Democratic, since CNN represents states that she wins as blue. Directors for Season 1 included Armando Iannucci, Tristram Shapeero and Chris Morris. Veep is executive produced by Iannucci, Christopher Godsick and Frank Rich. Co-executive producers are Simon Blackwell, Tony Roche, with Julia Louis-Dreyfus and Stephanie Laing as producers. The series' first four seasons featured an entirely British writing staff, consisting of Iannucci, Blackwell, Roche, Sean Gray, Will Smith, Roger Drew, Ian Martin, and Jesse Armstrong, among others, all of whom had previously worked with Iannucci on The Thick of It. Series creator Armando Iannucci departed as showrunner following the fourth season's end of production. Iannucci stated that his continuing busy schedule, as well as the challenge of maintaining his family life while switching between Baltimore and London, would not allow him to "[dedicate] one hundred percent" as head of the show, and he had chosen to "fire" himself as a result. David Mandel took over as showrunner for future episodes, becoming Veep's first American writer. Mandel retained a small number of Ianucci's writing staff, as well as Chris Addison as director and supervising producer, whilst also bringing in his own staff, and American writers. The pilot episode was filmed in February 2011 in Maryland, and filming for the series began in October 2011 in Baltimore, after several months of rehearsal designed to get the actors comfortable improvising with one another. For its first season, Veep reportedly hired 978 local Maryland residents and generated $40 million for the state, according to the Maryland Film Office. Season 2 production began shooting in November 2012, continuing to film in Baltimore and other areas of Maryland. Veep primarily filmed on a sound stage constructed from a Columbia, Maryland industrial warehouse, where replicas of places such as the Eisenhower Executive Office Building and West Wing are also built. The show continued filming in Maryland for its third and fourth seasons, as a bill was approved by state lawmakers in April 2013 that increased tax credits for film and TV productions in the state. Later filming locations included Annapolis and the Physical Sciences Complex in the University of Maryland, College Park campus. Principal photography moved from Baltimore to Los Angeles in the show's fifth season after being one of a few series to be awarded tax incentives from the California Film Commission, as part of an expanded $330 million California Film Tax Credit program signed by Governor Jerry Brown in 2014. Filming took place for part of the show's fifth season in Washington, D.C., from February 25, 2016, to March 3, 2016. As a result of HBO's Community Impact program, a select number of local D.C. residents also worked on the production during the eight-day film shoot in the area. 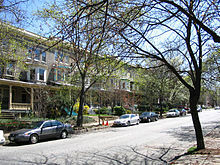 Areas in D.C. where production was reportedly found filming include the Superior Court, the Spring Valley neighborhood (where Julia Louis-Dreyfus once lived), and Dupont Circle's Kramerbooks independent bookstore. The seventh and final season wrapped filming in December 2018. The first season received generally positive reviews from television critics. Review aggregator site Metacritic gave the season a score of 72 out of 100 based on reviews from 30 critics. The review aggregator website Rotten Tomatoes reported a 74% approval rating with an average rating of 7.08 out of 10 based on 34 reviews. The site's consensus reads, "The jokes are funny and Julia Louis-Dreyfus is great in the lead, but Veep is still working to find its voice." 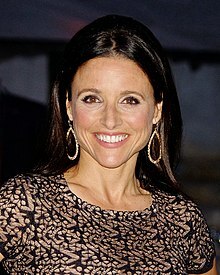 Hank Stuever of The Washington Post praised the series, writing, "Thanks to Louis-Dreyfus, and the show's remarkable knack for dialogue and timing, Veep is instantly engaging and outrageously fun." Rob Brunner of Entertainment Weekly gave the season a positive review: "Charmingly goofy as ever, Louis-Dreyfus isn't quite believable as a Vice President – even a sitcom VP whose lack of gravitas is the show's central joke. But she's still a joy to watch, especially when she shows off that famous gift for physical comedy." Maureen Ryan of The Huffington Post gave the show a lukewarm review, writing, "Despite the clear talents of the assembled cast, Veep merely reinforces what most people already think and revisits territory many other politically-oriented movies and TV shows have thoroughly covered." Brian Lowry of Variety gave the show a negative review and said a "show about an always-second office becomes second-tier TV." The second season received acclaim from critics. It averaged a Metacritic score of 75 out of 100 based on reviews from 10 critics. On Rotten Tomatoes, it received an 89% approval rating with an average score of 8.7 out of 10 based on 18 reviews. The site's consensus reads, "In Veep's second season, the satire is sharper, the insights are deeper, the tone is more consistent, and the result is a comedy of unexpected heft." David Hiltbrand of The Philadelphia Inquirer praised the series saying, "HBO's Veep is the sharpest Beltway satire the medium has ever seen, mostly because it focuses not on the power wielded by politicians, but on their desperate venality". Bruce Miller of Sioux City Journal also praised the show, writing: "The show is smart—smarter than most on network television—and it has life." The third season received acclaim from critics. It received a Metacritic score of 86 out of 100 based on 10 reviews. It scored a 100% approval rating on Rotten Tomatoes, with an average rating of 8.64 out of 10 based on 26 reviews. The site's consensus reads, "Veep continues its winning streak with a mix of smart comedy, bright performances and a refreshing approach to D.C. politics." Matt Roush of TV Guide praised the show, and in a joint review of Veep and Silicon Valley wrote: "[Silicon Valley is] paired with the third season of the savagely hilarious Veep; this combo promises to be HBO's most robust and certainly most entertaining comedy hour in years." Brandon Nowalk of The A.V. Club wrote the show "has become the clearest heir to 30 Rock and Arrested Development, and specific bits throughout the season recall both series." Tim Molloy of TheWrap praised the cast saying, "The show works because all of its actors seem so human, so likable, despite the words coming from their mouths." The fourth season received acclaim from critics. It received a Metacritic score of 90 out of 100 based on 11 reviews. As with the previous season, Veep scored a 100% rating on Rotten Tomatoes, based on 24 reviews, with an average rating of 9.12 out of 10. The site's consensus reads, "Veep shows no signs of slowing down in its fourth season, thanks to sharp, funny, rapid-fire dialogue between POTUS and her hilariously incompetent staff." Tim Goodman of The Hollywood Reporter wrote, "Veep enters its fourth season, firmly established as one of television's best comedies, and then immediately does what seems impossible—it delivers its most thoroughly assured, hilarious and brilliantly written and acted episodes." Ben Travers of Indiewire wrote, "Veep is incomparable in comedy" and that "the HBO comedy has crafted a style so unique the series itself is entirely its own beast." The fifth season received acclaim from critics. It received a Metacritic score of 88 out of 100 based on 18 reviews. The season scored a 94% rating on Rotten Tomatoes, based on 35 reviews, with an average rating of 8.63 out of 10. The site's consensus reads, "Thanks to the spot-on comedic prowess of Julia Louis-Dreyfus and company Veep is back with as many laughs and expletive-filled absurdities as ever." Tim Goodman of The Hollywood Reporter wrote that "Veep doesn't just feel like it's firing on all cylinders, it feels invigorated and out to prove something", while Kevin Sullivan of Entertainment Weekly wrote that "in the switch to new showrunner David Mandel, the state of Veep is strong". The sixth season received critical acclaim. On Metacritic, it has a score of 88 out of 100 based on 15 reviews, indicating "universal acclaim". It has a 94% rating on Rotten Tomatoes based on 34 reviews with an average score of 8.27 out of 10. The site's critical consensus reads, "A move from the White House hasn't dulled Veep's razor-sharp satirical edge, thanks to Julia Louis-Dreyfus and her castmates' deft comic chemistry." The seventh season received critical acclaim. On Metacritic, it has a score of 87 out of 100 based on 20 reviews, indicating "universal acclaim". It has a 97% rating on Rotten Tomatoes based on 39 reviews with an average score of 8.87 out of 10. The site's critical consensus reads, "Brash and bonkers as ever, Veep bows out with an unapologetically absurd final season that solidifies its status as one of TV's greatest comedies." Through its first six seasons, Veep has received critical acclaim and won several major awards, including seventeen Primetime Emmy Awards, two Critics' Choice Television Awards, a Peabody Award, four Screen Actors Guild Awards, two Television Critics Association Awards, three Directors Guild of America Awards and three Writers Guild of America Awards. March 31, 2015 March 30, 2015 April 1, 2015 March 31, 2015 March 30, 2015 Deleted scenes, 4 audio commentaries with cast and crew, "Governor's Visit"
^ a b Andreeva, Nellie (January 13, 2012). "UPDATE: Premiere Dates For HBO's 'Girls,' 'Game Of Thrones', 'Veep' & 'Game Change'". Deadline Hollywood. Retrieved April 24, 2012. ^ "About Veep". HBO. Retrieved May 5, 2016. ^ Petski, Denise (May 25, 2017). "'Veep' & 'Silicon Valley' Renewed By HBO". Deadline Hollywood. Retrieved May 25, 2017. ^ Roots, Kimberly (September 6, 2017). "Veep to End With Season 7". TVLine. Retrieved September 7, 2017. ^ Ausiello, Michael (February 8, 2019). "Veep's 'Crazy, Jam-Packed' Final Season to Premiere March 31". TVLine. Retrieved February 8, 2019. ^ a b Ausiello, Michael (September 17, 2018). "Veep Will Conclude in 2019 With Its Shortest Season Ever". TVLine. Retrieved September 17, 2018. ^ "Selina Meyer played by Julia Louis-Dreyfus". HBO. Retrieved March 22, 2013. ^ Gonzalez, Sandra (September 18, 2017). "Julia Louis-Dreyfus makes Emmy history". CNN. Retrieved September 18, 2017. ^ "Amy Brookheimer played by Anna Chlumsky". HBO. Retrieved March 22, 2013. ^ "Gary Walsh played by Tony Hale". HBO. Retrieved March 22, 2013. ^ Birnbaum, Debra (April 16, 2015). "Tony Hale on 'Veep' and Playing the Bad Guy for a Change". Variety. Retrieved March 18, 2016. ^ "Dan Egan played by Reid Scott". HBO. Retrieved March 22, 2013. ^ "Jonah Ryan played by Timothy Simons". HBO. Retrieved March 22, 2013. ^ Lincoln, Ross A. (June 18, 2015). "Matt Walsh On How Improv Informs 'Veep': "I Wasn't Scared Putting My Script Down" – Emmys". Deadline Hollywood. Retrieved March 18, 2016. ^ "Mike McLintock played by Matt Walsh". HBO. Retrieved March 22, 2013. ^ "Sue Wilson played by Sufe Bradshaw". HBO. Retrieved March 22, 2013. ^ Peterman, Mindy (April 23, 2014). "A conversation with 'VEEP's Sufe Bradshaw". Digital Journal. Retrieved March 18, 2016. ^ "Ben Cafferty, played by Kevin Dunn". HBO. Retrieved May 11, 2016. ^ "Kent Davison, played by Gary Cole". HBO. Retrieved May 11, 2016. ^ Andreeva, Nellie (September 17, 2014). "Sam Richardson Upped To Regular On 'Veep'". Deadline Hollywood. Retrieved September 23, 2014. ^ Phelan, Paige (April 12, 2015). "'Veep' Creator Talks Selina's Political Competition and Hugh Laurie's "Big Hitter"". The Hollywood Reporter. Retrieved March 18, 2016. ^ Sullivan, Kevin P. (May 24, 2015). "Veep creator hints at what's ahead for Selina Meyer and her new running mate, Tom James". Entertainment Weekly. Retrieved March 18, 2016. ^ "Shows A-Z - veep on hbo". The Futon Critic. Retrieved February 23, 2019. ^ "Christopher Guest Jumps Into 'The Thick of It'". Zap2it. February 26, 2007. Retrieved March 16, 2007. ^ "Platt, 'Piz' Pluck Pilot Parts". Zap2it. March 9, 2007. Retrieved March 16, 2007. ^ "'Gilmore' Regular Joins ABC Pilot". Zap2it. March 15, 2007. Retrieved March 16, 2007. ^ Goodman, Tim (May 21, 2007). "Sometimes buzz about TV pilots is just a lot of hot air". San Francisco Chronicle. Retrieved May 27, 2007. ^ a b Rosser, Michael (April 24, 2009). "Iannacci in talks with HBO over US Thick of It". Broadcast. Retrieved April 24, 2009. ^ Andreeva, Nellie (June 4, 2007). "Rejected by ABC, political satire sparks interest". Reuters. Retrieved June 4, 2007. ^ "Armando Iannucci talks political satire and new HBO series 'Veep'". Los Angeles Times. April 20, 2012. Retrieved May 11, 2016. ^ a b Andreeva, Nellie (April 18, 2011). "It's Official: HBO Announces Series Order For Comedy Veep With Julia Louis-Dreyfus". Deadline Hollywood. Retrieved April 21, 2015. ^ "Julia Louis-Dreyfus". Comedy Central. April 17, 2012. Retrieved April 21, 2015. ^ Stuever, Hank (April 19, 2012). "'Veep': A playful pander in Washington's zoo". The Washington Post. Retrieved April 14, 2015. ^ "HBO Begins Filming of 'VEEP' in Maryland". Afro.com. October 5, 2011. Retrieved March 22, 2013. ^ Parker, Ian (March 26, 2012). "Expletives Not Deleted". The New Yorker. Retrieved April 21, 2015. ^ Stanhope, Kate (April 10, 2015). "'Veep' Creator Armando Iannucci to Depart After Four Seasons (Exclusive)". The Hollywood Reporter. Retrieved April 11, 2015. ^ McCarthy, Tyler; Castillo, Monica (September 21, 2015). "'Veep' Creator Armando Iannucci Explains Why He's Still Leaving The Show Before Season 5 After Best Comedy Series Emmy Win". International Business Times. Retrieved March 21, 2016. ^ Lambe, Stacy (June 12, 2015). "Why 'Veep' Creator Armando Iannucci Had to Fire Himself". Entertainment Tonight. Retrieved March 21, 2016. ^ Bednar, Adam (October 7, 2011). "TV Show VEEP Films in Charles Village". Patch. Retrieved March 21, 2016. ^ "HBO To Start Filming VEEP In Maryland This Week". CBS Baltimore. October 3, 2011. Retrieved April 21, 2015. ^ Zurawik, David (October 3, 2011). "HBO's series 'VEEP' starring Julia Louis-Dreyfus begins production in Maryland". The Baltimore Sun. Retrieved April 21, 2015. ^ "Episode 68: Featuring Sufe Bradshaw". RossCarey.com. July 10, 2012. Retrieved April 21, 2015. ^ Dash, Julehka (February 19, 2013). "Break a leg: Baltimore actress Liz Chuday talks 'VEEP'". Bmore Media. Retrieved March 21, 2016. ^ a b Zurawik, David (May 1, 2013). "HBO renews Baltimore-made 'VEEP' for a third season". Baltimore Sun. Retrieved March 21, 2016. ^ van Meter, Jonathan (December 8, 2013). "Julia Louis-Dreyfus in the Present Tense: How the Actress Made Her Transformational Turn on Veep". Vulture. Retrieved March 21, 2016. ^ Blas, Lorena (April 9, 2013). "From Baltimore, 'Veep' holds a mirror to D.C." USA Today. Retrieved March 21, 2016. ^ Stuever, Hank (April 12, 2013). "Julia Louis-Dreyfus, savoring 'Veep's' wicked sense of hubris". Washington Post. Retrieved March 21, 2016. ^ Cox, Erin (April 2, 2013). "Assembly approves $25 million in film tax credits". Baltimore Sun. Retrieved March 21, 2016. ^ Zurawik, David (April 22, 2014). " "HBO to return to Baltimore for 'Veep' Season 4". Baltimore Sun. Retrieved March 21, 2016. ^ "Calling all actors: HBO's 'Veep' casting for season 4 in Baltimore". WMAR-TV (ABC). July 24, 2014. Archived from the original on March 24, 2016. Retrieved March 21, 2016. ^ Gilbert, Sophie (October 1, 2013). "Veep Is Filming at the University of Maryland This Week". Washingtonian. Retrieved March 21, 2016. ^ Blasey, Laura (October 9, 2013). "HBO's Veep films scenes on campus". The Diamondback. Archived from the original on October 24, 2017. Retrieved March 21, 2016. ^ Wiggins, Ovetta (June 18, 2015). "HBO: 'Veep' is headed west, moving its production from Md. to Los Angeles". The Washington Post. Retrieved March 18, 2016. ^ McNary, Dave (June 2, 2015). "California's Expanded Tax Credit Set for 'Veep,' 'American Horror Story'". Variety. Retrieved March 18, 2016. ^ Patten, Dominic (September 18, 2014). "Hooray For Hollywood! Gov. Brown Signs Film & TV Tax Credit Bill Extension". Deadline Hollywood. Retrieved March 18, 2016. ^ Stein, Perry (February 29, 2016). "'Veep' is filming in D.C., and these lucky residents are helping on set". The Washington Post. Retrieved March 18, 2016. ^ "HBO Community P.A. Training Program". New Orleans Video Access Center. Archived from the original on March 20, 2016. Retrieved March 18, 2016. ^ Heil, Emily (March 1, 2016). "'Veep' is filming in Washington, and it's a homecoming for Julia Louis-Dreyfus". The Washington Post. Retrieved March 18, 2016. ^ Regan, Tim (March 4, 2016). "Dupont's Kramerbooks to Appear in Season 5 of "Veep"". Borderstan. Retrieved March 18, 2016. ^ Snierson, Dan (December 19, 2018). "Veep stars say goodbye to show on emotional final day of shooting". Entertainment Weekly. Retrieved December 22, 2018. ^ a b "Veep : Season 1". Metacritic. Retrieved November 27, 2015. ^ a b "Veep : Season 2". Metacritic. Retrieved November 27, 2015. ^ a b "Veep : Season 3". Metacritic. Retrieved November 27, 2015. ^ a b "Veep : Season 4". Metacritic. Retrieved November 27, 2015. ^ a b "Veep : Season 5". Metacritic. Retrieved April 24, 2016. ^ a b "Veep : Season 6". Metacritic. Retrieved April 20, 2017. ^ a b "Veep : Season 7". Metacritic. Retrieved March 28, 2019. ^ "Veep: Season 1". Rotten Tomatoes. Retrieved June 6, 2014. ^ Stuever, Hank (April 19, 2012). "'Veep': A playful pander in Washington's zoo". The Washington Post. Retrieved June 6, 2014. ^ Brunner, Rob (April 13, 2012). "Veep". Entertainment Weekly. Retrieved June 6, 2014. ^ Ryan, Maureen (April 19, 2012). "'Veep' HBO Review: Political Comedy Misses The Mark". The Huffington Post. Retrieved June 6, 2014. ^ Lowry, Brian (April 19, 2012). "Review: 'Veep'". Variety. Retrieved June 6, 2014. ^ "Veep: Season 2". Rotten Tomatoes. Retrieved March 21, 2016. ^ Hiltbrand, David (December 20, 2013). "Lots of Funny Business on TV". The Philadelphia Inquirer. Retrieved June 6, 2014. ^ Miller, Bruce (April 21, 2013). "'Veep' returns with more laughs, familiar situations". Sioux City Journal. Retrieved June 6, 2014. ^ "Veep: Season 3". Rotten Tomatoes. Retrieved June 30, 2014. ^ Roush, Matt (April 4, 2014). "Weekend TV: Silicon Valley, Thrones and Veep on HBO; AMCs' Turn". TV Guide. Retrieved June 6, 2014. ^ Nowalk, Brandon (April 2, 2014). "The campaign trail brings out the best in Veep". The A.V. Club. Retrieved June 6, 2014. ^ Molloy, Tim (April 4, 2014). "'Veep' Review: High Stakes Bring Out Selina Meyer's Worst". TheWrap. Retrieved June 6, 2014. ^ "Veep: Season 4". Rotten Tomatoes. Retrieved March 21, 2016. ^ Goodman, Tim (April 12, 2015). "'Veep' and 'Silicon Valley': TV Review". The Hollywood Reporter. Retrieved April 21, 2015. ^ Travers, Ben (April 8, 2015). "Review: 'Veep' Season 4 Proves Holding Power Can Be as Hysterical as Craving It". Indiewire. Retrieved April 21, 2015. ^ "Veep: Season 5". Rotten Tomatoes. Retrieved April 24, 2016. ^ Goodman, Tim (April 21, 2016). "Veep Season 5: TV Review". The Hollywood Reporter. Retrieved May 17, 2016. ^ Sullivan, Kevin (April 21, 2016). "Veep season 5: EW review". Entertainment Weekly. Retrieved May 17, 2016. ^ "Veep: Season 6". Rotten Tomatoes. Retrieved April 20, 2017. ^ "Veep: Season 7". Rotten Tomatoes. Retrieved March 28, 2019. ^ Lambert, David (December 6, 2012). "Veep – Blu-ray, DVD Announced for Julia Louis-Dreyfus in 'The Complete 1st Season'". TVShowsOnDVD.com. Archived from the original on March 13, 2013. Retrieved April 13, 2013. ^ Lambert, David (December 2, 2013). "Veep – Press Release for 'The Complete 2nd Season': Date, Extras, Box Art". TVShowsOnDVD.com. Archived from the original on April 15, 2015. Retrieved April 14, 2015. ^ Lambert, David (December 12, 2014). "Veep – 'The Complete 3rd Season' Officially Announced in HBO Press". TVShowsOnDVD.com. Archived from the original on January 10, 2015. Retrieved April 14, 2015. ^ Lambert, David (January 21, 2016). "Veep – HBO Home Entertainment's Press Release for 'The Complete 4th Season'". TVShowsOnDVD.com. Archived from the original on March 29, 2016. Retrieved April 19, 2016. ^ Lambert, David (January 12, 2017). "Veep – HBO Press Release: Blu-rays and DVDs for 'The Complete 5th Season'". TVShowsOnDVD.com. Retrieved July 11, 2017. ^ Lambert, David (July 10, 2017). "Veep – Blu-ray Discs and DVDs for 'The Complete 6th Season' Announced". TVShowsOnDVD.com. Retrieved July 11, 2017.